FernFest 2018 Performer Applications are now closed. Thank you to everyone and every band who applied! We will be contacting selected bands as soon as possible. We’re looking forward to announcing our lineup. For up-to-date information and announcements, please join us on our Facebook Page or the FernFest 2018 Facebook Event. 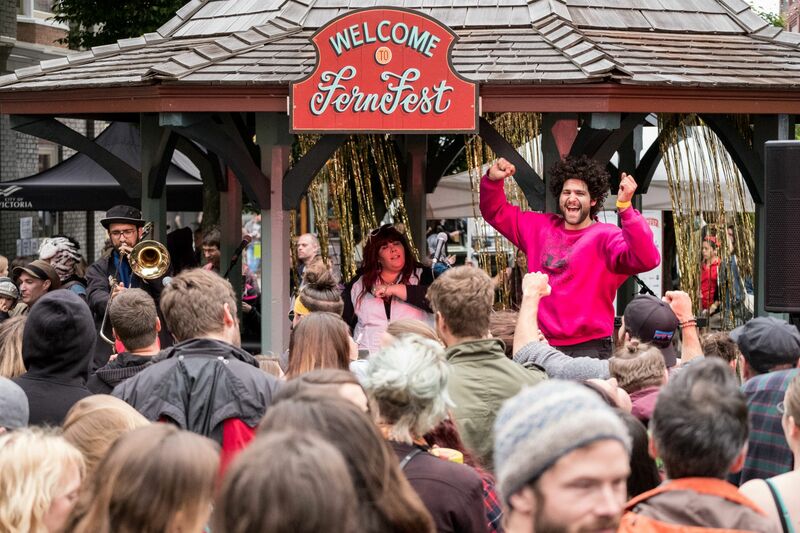 Email fernfest@fernwoodnrg.ca to share your ideas of what you would like to see at FernFest 2018. Community Bagel Breakfast | Field of Dreams Kids Zone | Kidical Mass Bike Parade | Artisan Market | Non-Profit Hub | Senior's High Tea at the Fernwood Community Centre | BBQ & Refreshments tent with local brews made by Phillips Brewery & Merridale Cider | Live music performances | Live music & variety show | & so much more!